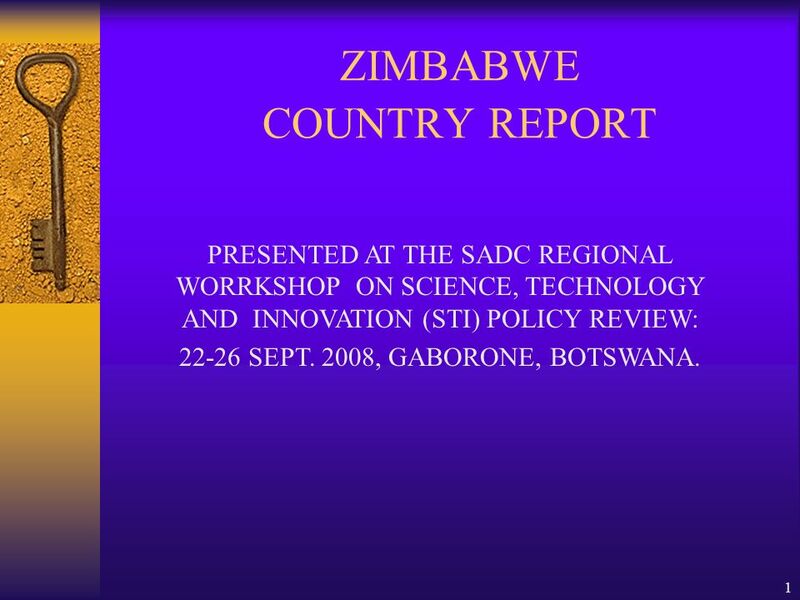 1 1 ZIMBABWE COUNTRY REPORT PRESENTED AT THE SADC REGIONAL WORRKSHOP ON SCIENCE, TECHNOLOGY AND INNOVATION (STI) POLICY REVIEW: 22-26 SEPT. 2008, GABORONE, BOTSWANA. 4 4 1. INTRODUCTION. 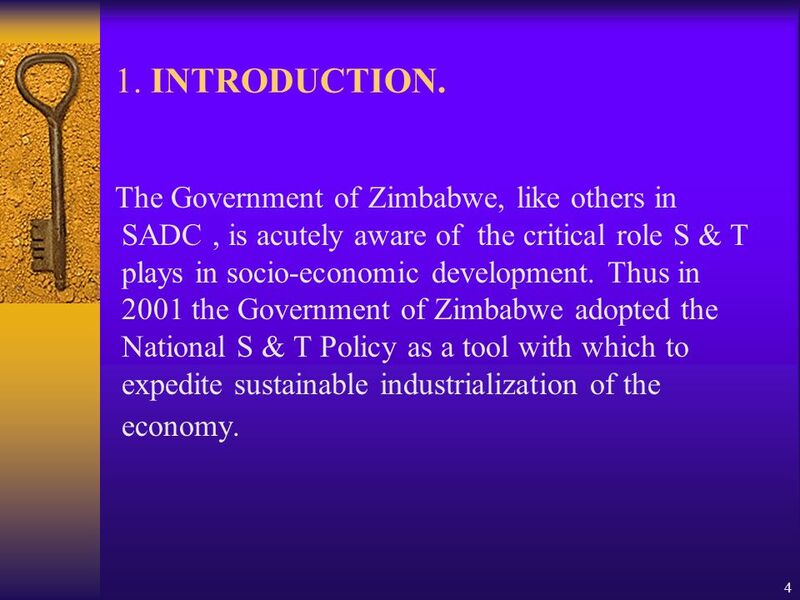 The Government of Zimbabwe, like others in SADC, is acutely aware of the critical role S & T plays in socio-economic development. 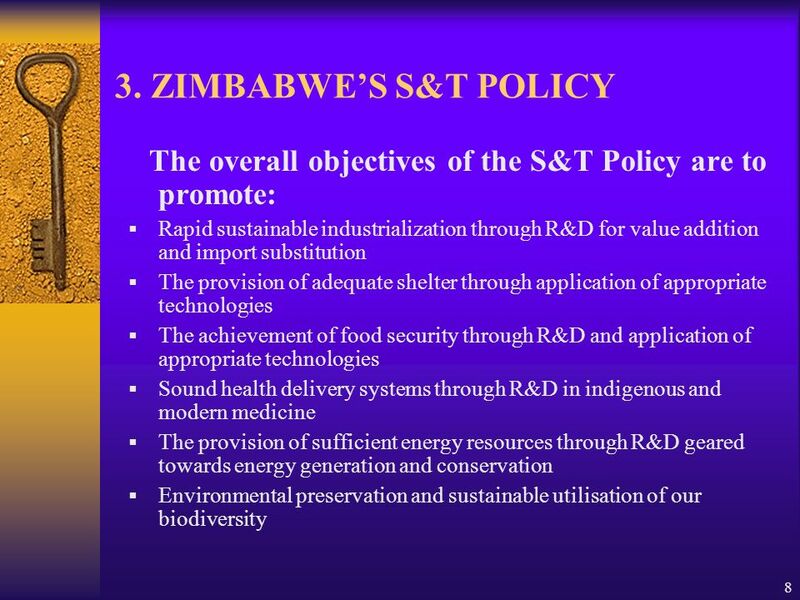 Thus in 2001 the Government of Zimbabwe adopted the National S & T Policy as a tool with which to expedite sustainable industrialization of the economy. 5 5 2. 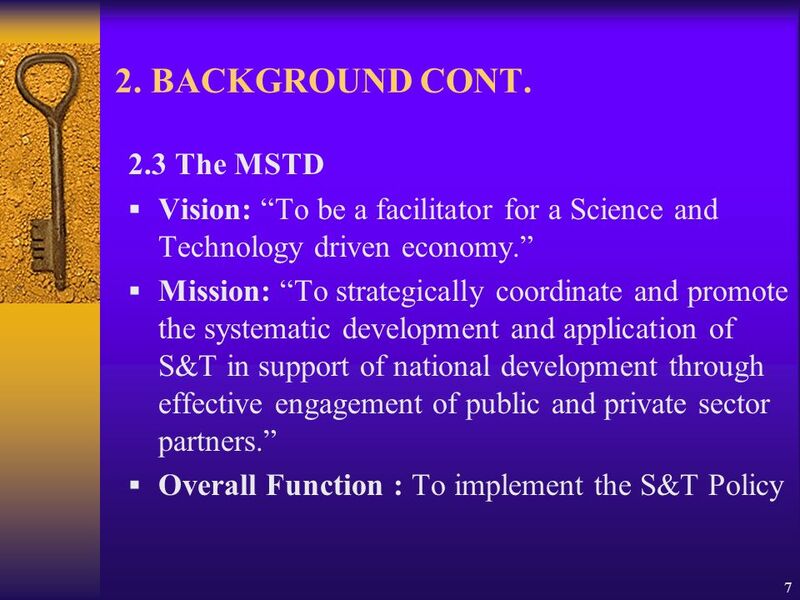 BACKGROUND 2.1 History Efforts at establishing a national System of Innovation date as far back as the1950s. 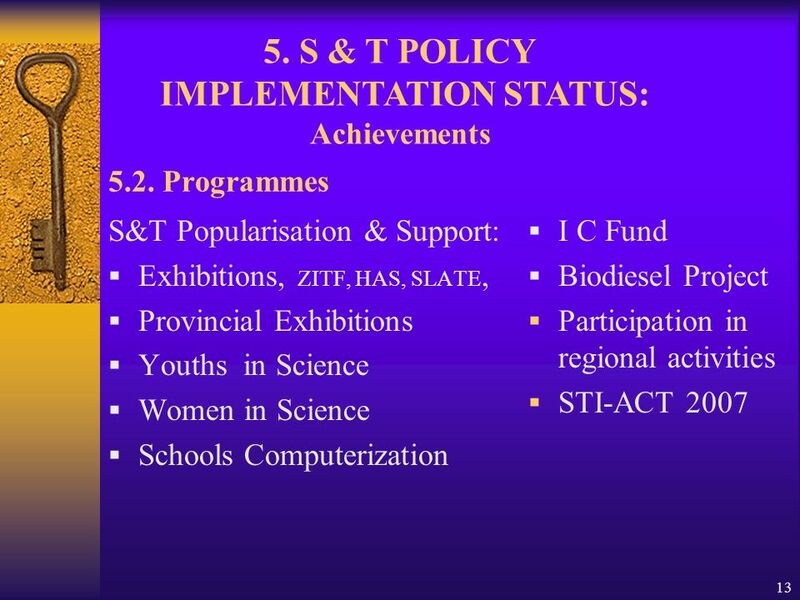 Research Act (Ch. 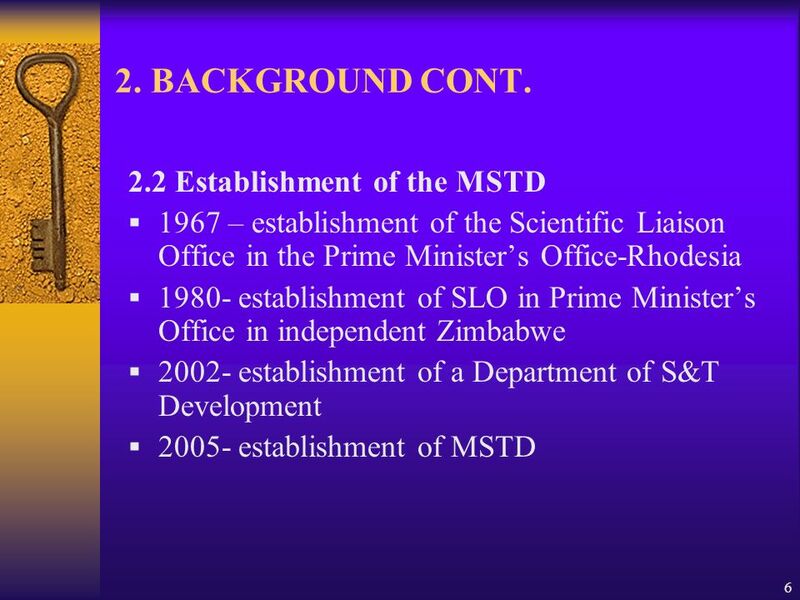 336) of 1959 established the Research Foundation of Rhodesia 1986, the Scientific and Technological Research Act (CH. 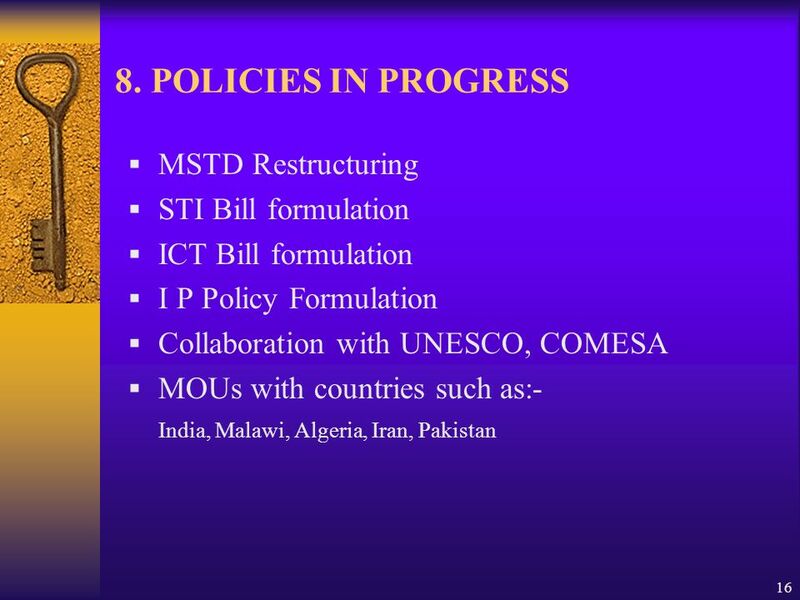 10:22)replaced the Research Act 1959. 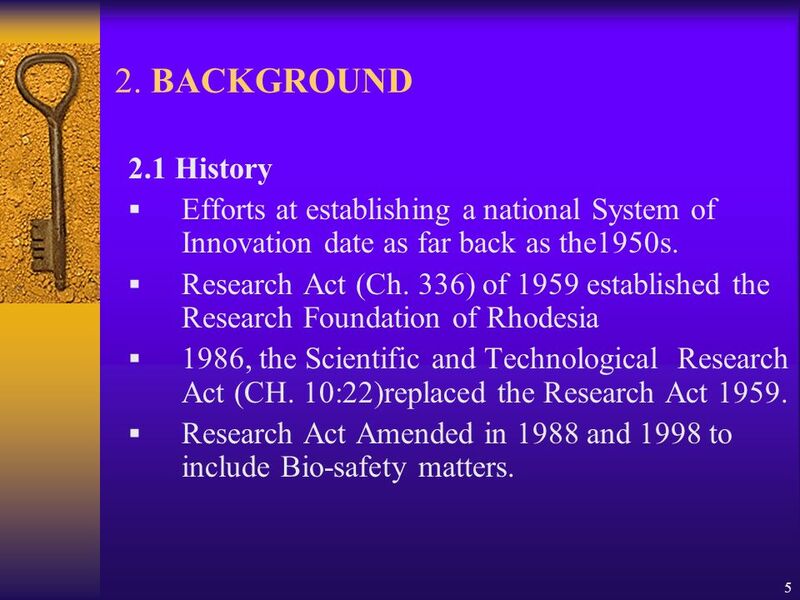 Research Act Amended in 1988 and 1998 to include Bio-safety matters. 17 17 9. 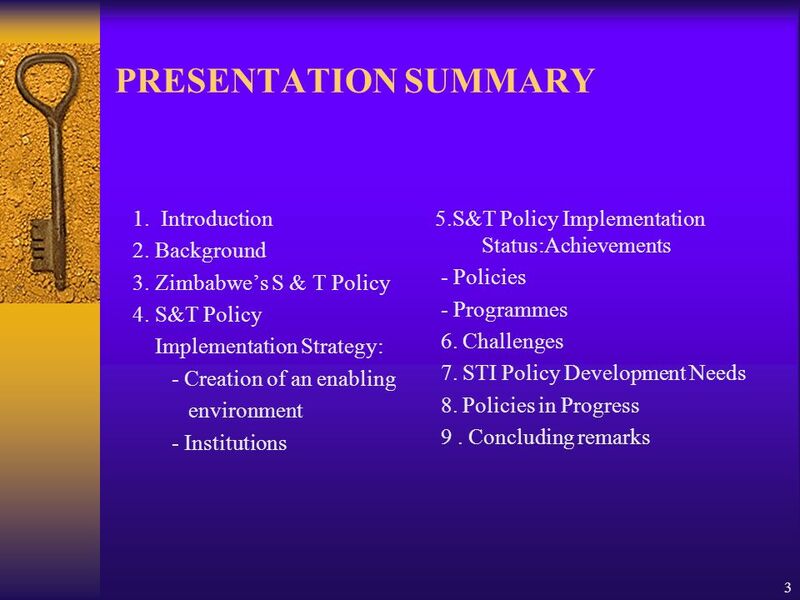 CONCLUDING REMARKS Zimbabwes S & T situation shows that there are a number of challenges and needs that require the kind of sharing and exchange of views and ideas as is happening at this workshop if they are to be overcome. 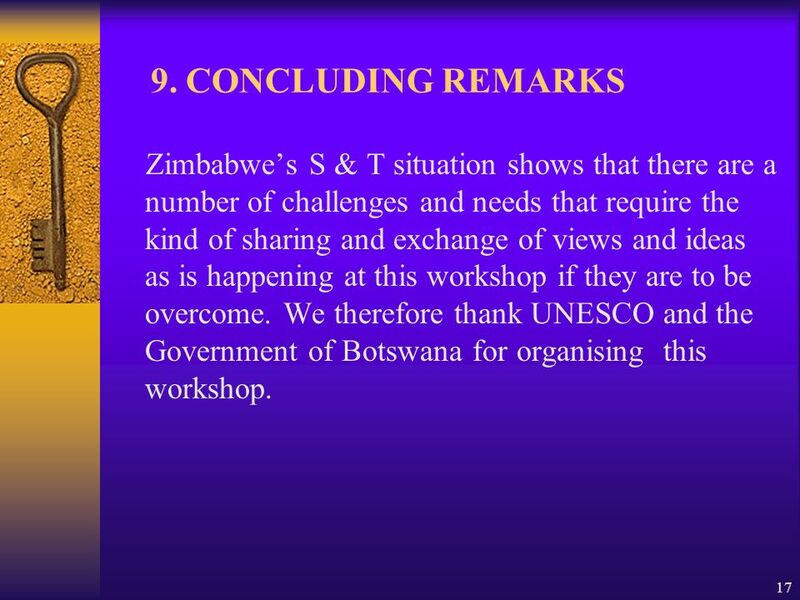 We therefore thank UNESCO and the Government of Botswana for organising this workshop. 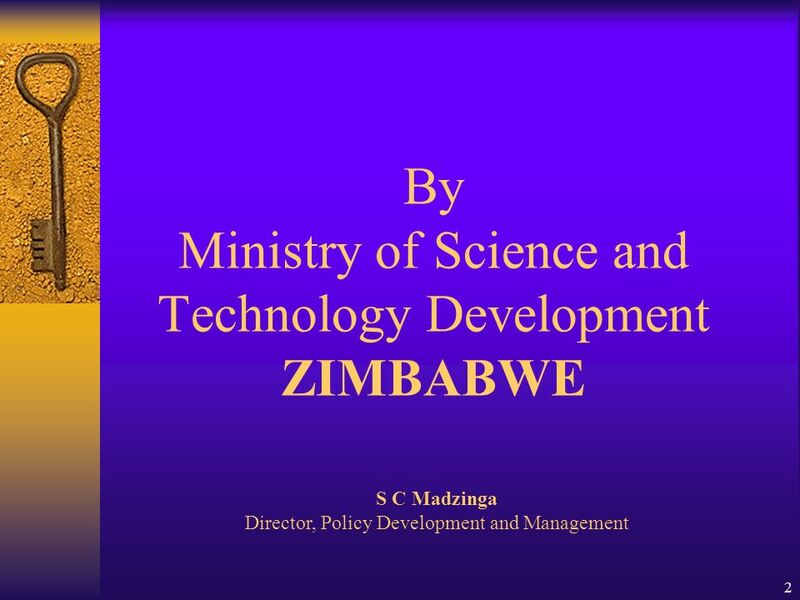 Download ppt "1 ZIMBABWE COUNTRY REPORT PRESENTED AT THE SADC REGIONAL WORRKSHOP ON SCIENCE, TECHNOLOGY AND INNOVATION (STI) POLICY REVIEW: 22-26 SEPT. 2008, GABORONE,"
Initiatives for the Development and Promotion of Biotechnology in Sri Lanka Dr. M.C.N. 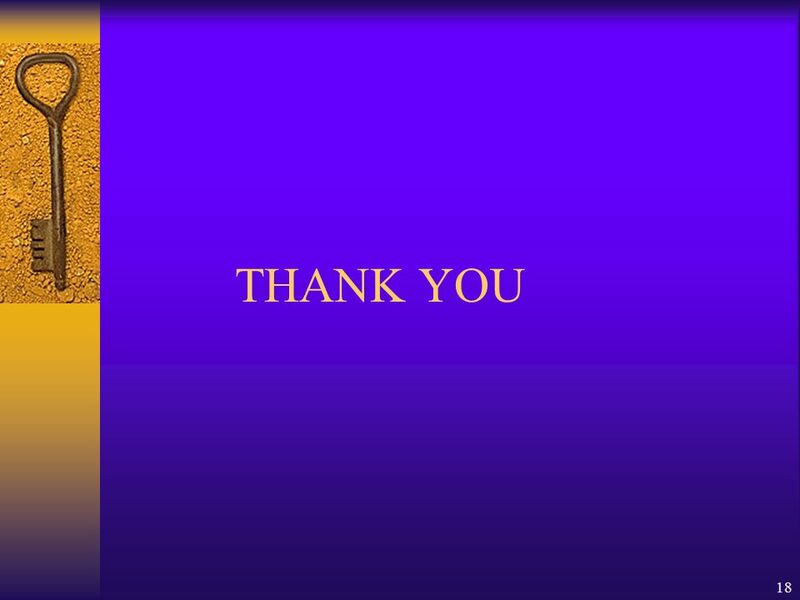 Jayasuriya. 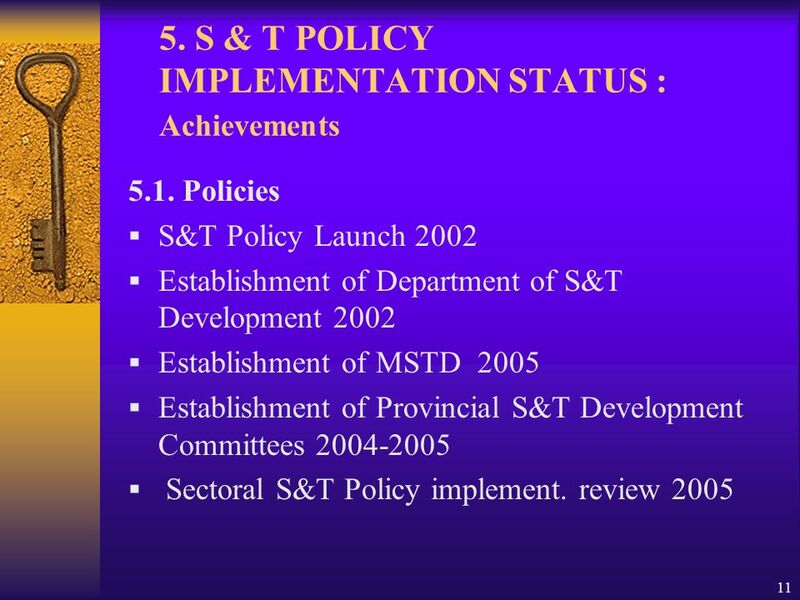 SA SMME CONFERENCE 26 October 2006 PROMOTING THE INTEGRATED SMALL BUSINESS DEVELOPMENT APPROACH Mandisa Manjezi Chief Director, Enterprise Development. 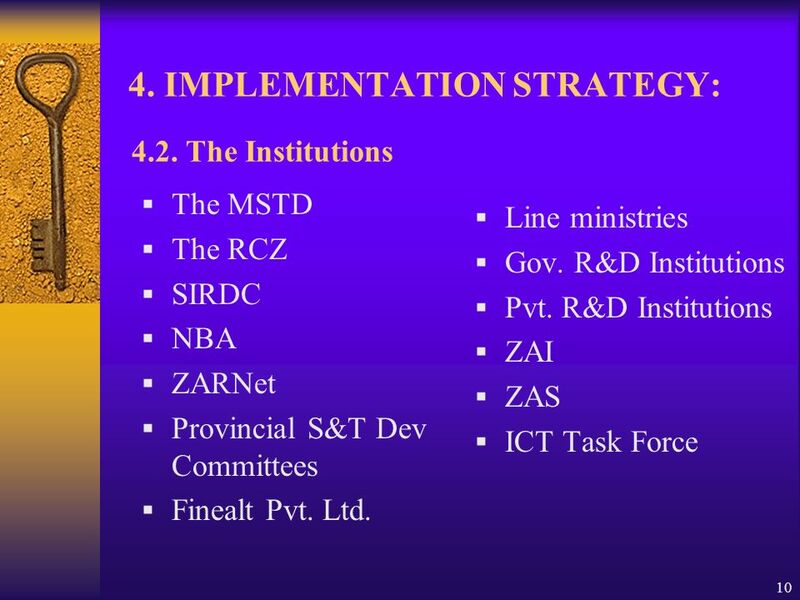 1 JICA s Capacity Development Concept and Activities in Tanzania March, 2007 Koji Makino JICA Tanzania. 1 From the Implementation of IMPULSO to the Design of ESTER Mr. Francisco ROYANO Office of the Government of Cantabria in Brussels OPEN. 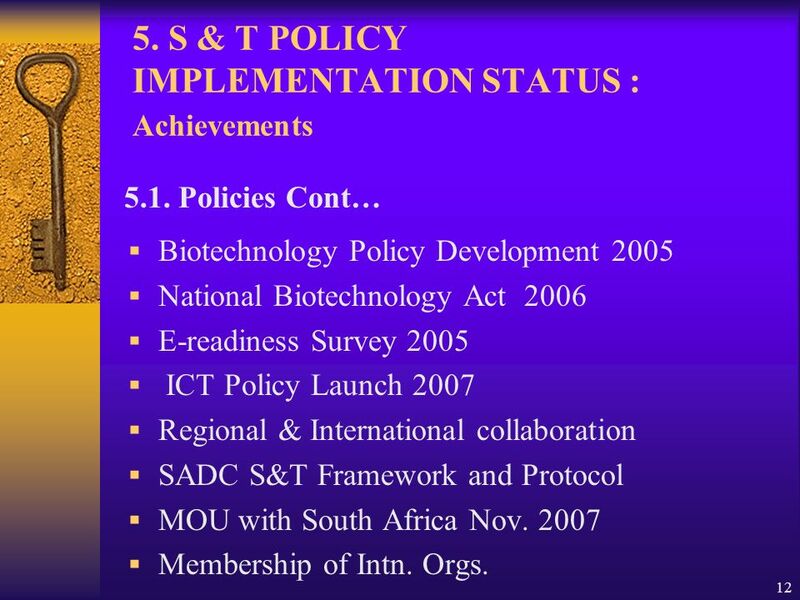 Look,Listen and Learn Project Regional Conference 14-15 November 2005 Birchwood Hotel, Johannesburg By Fred Kalibwani SADC FOOD SECURITY POLICY PROCESSES.